Art just isn’t complete without framing. Much like a statement piece of jewelry, framing is the finishing touch on your masterpiece. It elevates the look of your art and protects it for years to come. As a new year filled with design shifts approaches, it’s the perfect time to update or add framing to your collection. Check out the following framing trends for 2019, then stop by Prairiebrooke and update your pieces with gorgeous new framing. Float frames will continue to stake their claim in the industry throughout 2019. Designed to sit just outside of a piece, float frames’ modern lines and wide array of finishes make them an excellent fit for nearly any piece of art. The “floating” illusion creates a clean plane on which your art can shine. If you’re looking to add a little body to your favorite piece, a linen liner could be the perfect solution. Visually, a linen liner helps to create space between your piece and its frame. The texture of a linen liner adds dimension to your art and versatility to your collection. Linen liners are sure to be a framing staple in 2019. You’ve heard of stacking rings or necklaces; it’s time to meet the stacked frame. Multi-layered frames add visual (and literal) depth to the piece’s overall design. Each frame brings a new color, texture, or finish to the mix. The result is a multi-faceted stage on which your art can shine. Metallic finishes aren’t just for fixtures and hardware; they’re a gorgeous design decision for frames as well. Metallic finishes are essential in almost every room concept; in 2019 it’s no different! Frames are an excellent way to introduce metallic finishes into a room because the visual plane isn’t overwhelming. It’s a fun touch, but not a distraction from the art or room itself. Why blend in when you can stand out? Frames that are in high contrast with their art or surrounding walls are sure to be on trend for 2019. 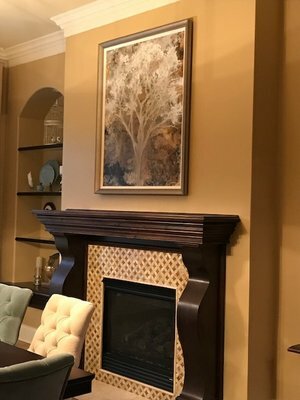 The juxtaposition between contrasting finishes, colors, and textures is a great way to add visual interest to your room and bring attention to your art. Not sure how to pick a frame to contrast—not clash? Work with our design consultants to create a framing combo that’s bold and elegant. For art and framing that’s always on trend, work with the team at Prairiebrooke. 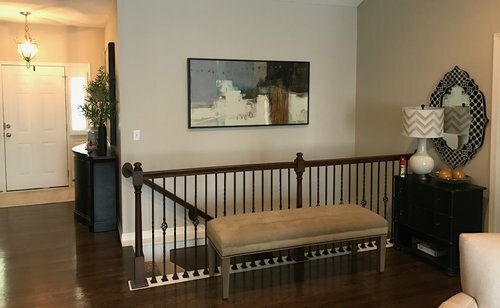 As a comprehensive art resource, we’re eager to help you design a piece that complements your individual space, style, and personality. 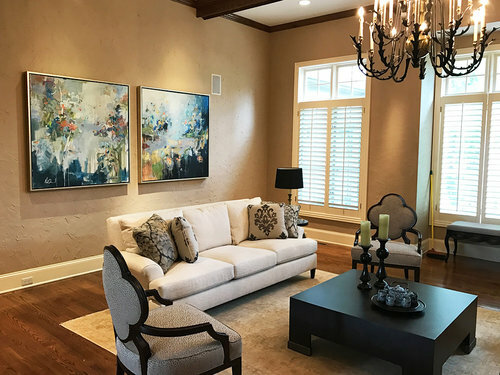 For art and framing in Kansas City, choose Prairiebrooke! Older PostGood Things Come in Small Packages: Shop Small with Prairiebrooke!